This guide describes how to comply with procurement statutory and regulatory requirements while also moving as quickly as possible to recover from a disaster. HUD provides flexible grants to help cities, counties, and States recover from Presidentially declared disasters, especially in low-income areas, subject to availability of supplemental appropriations. In response to Presidentially declared disasters, Congress may appropriate additional funding for the Community Development Block Grant (CDBG) Program as Disaster Recovery grants to rebuild the affected areas and provide crucial seed money to start the recovery process. 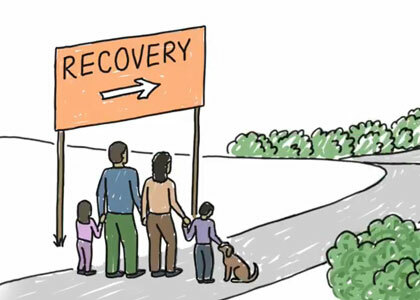 Since CDBG Disaster Recovery (CDBG-DR) assistance may fund a broad range of recovery activities, HUD can help communities and neighborhoods that otherwise might not recover due to limited resources. HUD announced the winners of the $1 billion National Disaster Resilience Competition (NDRC) on January 21, 2016. Through NDRC, HUD is providing funding to communities that have experienced natural disasters to help them rebuild and increase their resilience to future disasters. HUD announced the winners of the Hurricane Sandy Rebuilding Task Force Rebuild By Design (RBD) competition in June 2014. RBD is providing a total of $930 million to seven winning ideas. Each winning idea comprises multiple phases, which collectively represent a master plan for the area of focus. The awards dedicated to the winning designs are provided by HUD to assist in the implementation of the first phase of each master plan.